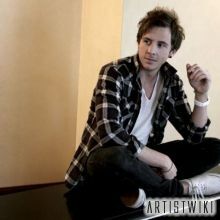 1) Daniel Alan David Jones, commonly known as Danny Jones (born March 12, 1986) is one of the lead vocalists and guitarists in the British pop rock band McFly, along with fellow band members Tom Fletcher, Dougie Poynter and Harry Judd. Danny comes from Bolton, Greater Manchester, and he supports Bolton Wanderers F.C.|He grew up with his mum [Kathy] and dad [Alan], and older sister [Vicky], who was on Steps To The Stars [a talent competition on TV] with him in 2000, along with his best friend at the time [Chris]. Their band was called Y2K, and Danny was in year 8 when in the band. Jones’ attended Thornleigh Salesian College in Bolton and went to Bury College, Bury, Lancashire. In McFly, Jones has co-written songs on all their albums. Jones’ favourite male singers are Bruce Springsteen & The E-Street Band and The Who. His first gig was a Bruce Springsteen gig and he has said that his mother got him interested in him.